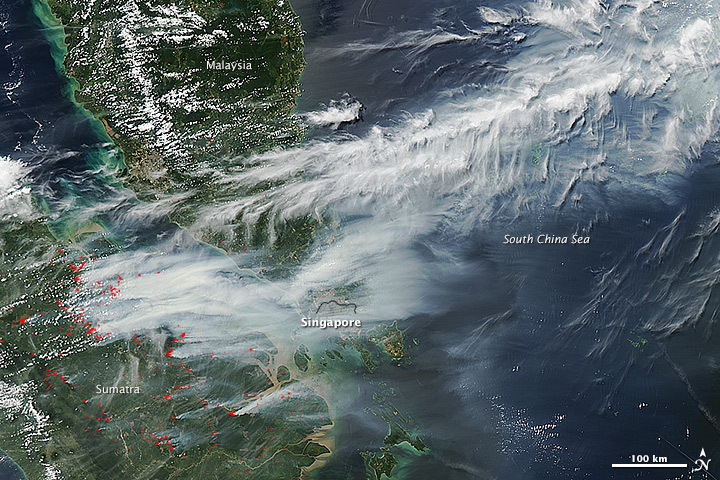 Atwood, S. (2013, May 3) et al (2013, April 15) Analysis of source regions for smoke events in Singapore for the 2009 El Nino burning season. In press. 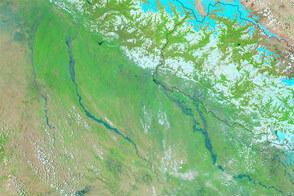 Earth Observatory (2007, March 30) Tropical Deforestation. 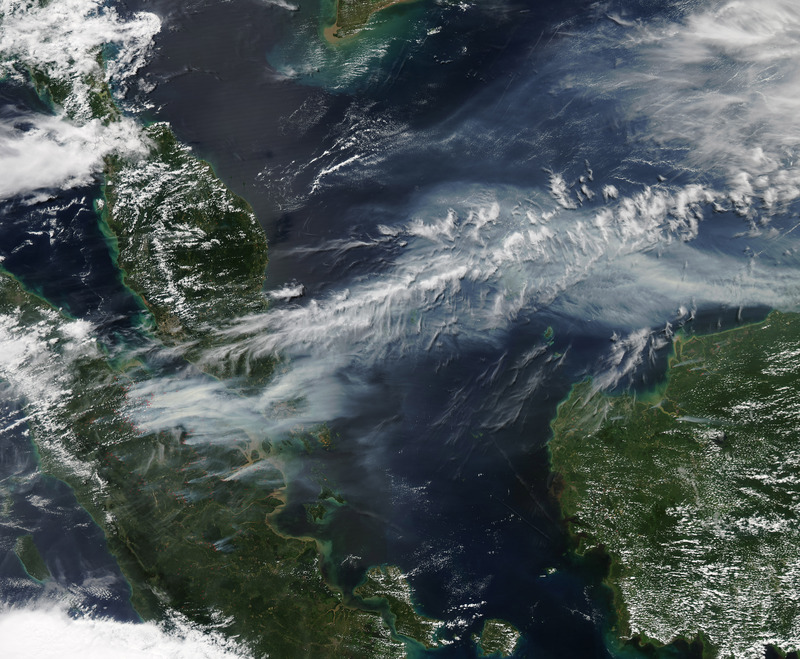 Hyer, E. et al (2012, June 7) Patterns of fire activity over Indonesia and Malaysia from polar and geostationary satellite observations. 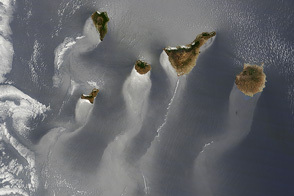 122, 504-519. 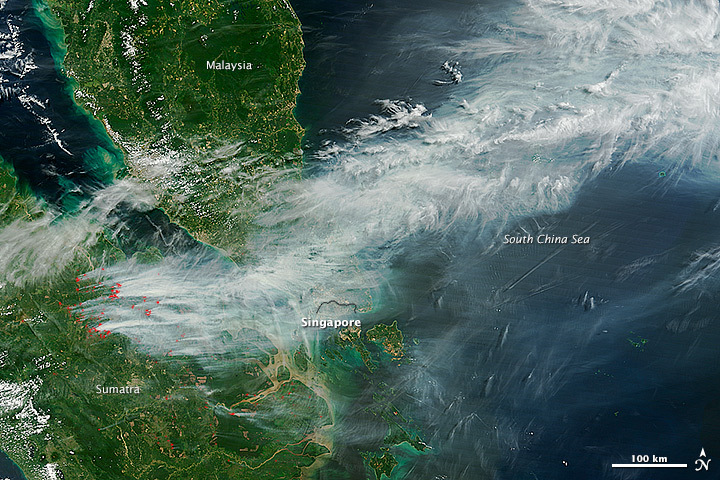 Smoke from fires in Sumatra shrouded Singapore and southern Malaysia in thick plumes of smoke in June 2013. 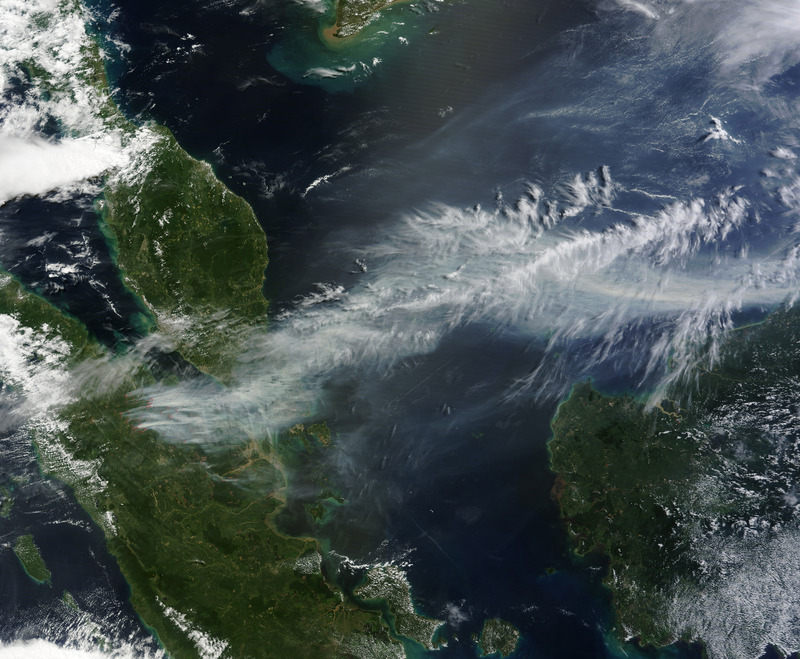 Channel News Asia (2013, June 20) Palm oil producers deny slash-and-burn practices in Indonesia. Accessed June 20, 2013. New York Times (2013, June 20) Pollution in Singapore Hits Record Level. Accessed June 20, 2013. Singapore National Environment Agency PSI and PM2.5 Readings. Accessed June 20, 2013. 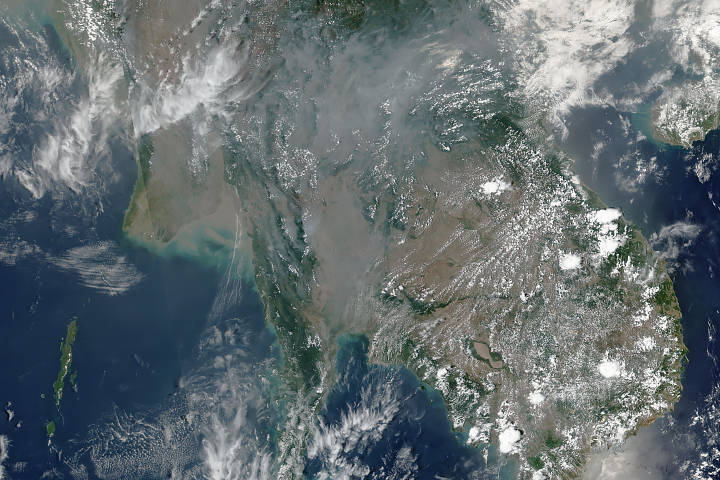 Voice of America (2013, June 20) Singapore Haze Soars to Hazardous Levels. Accessed June 20, 2013. 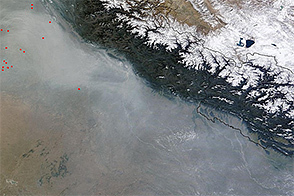 Wall Street Journal (June 20, 2013) Singapore Air Pollution Hits Record. Accessed June 20, 2013. 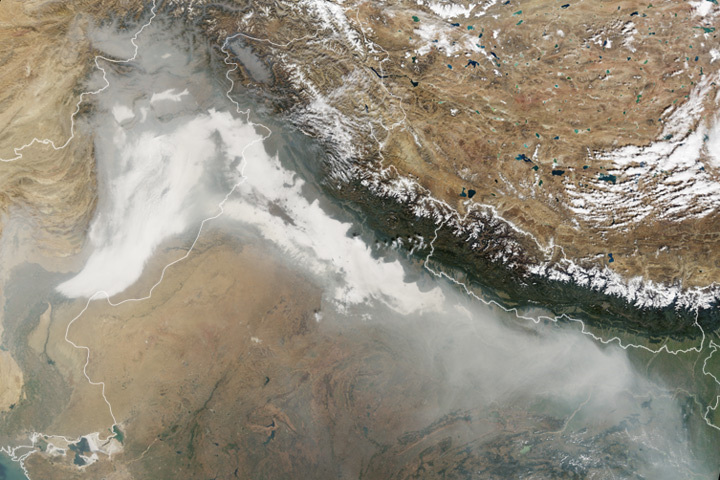 Reuters (June 20, 2013) Slideshow: Asia Haze. Accessed June 20, 2013.